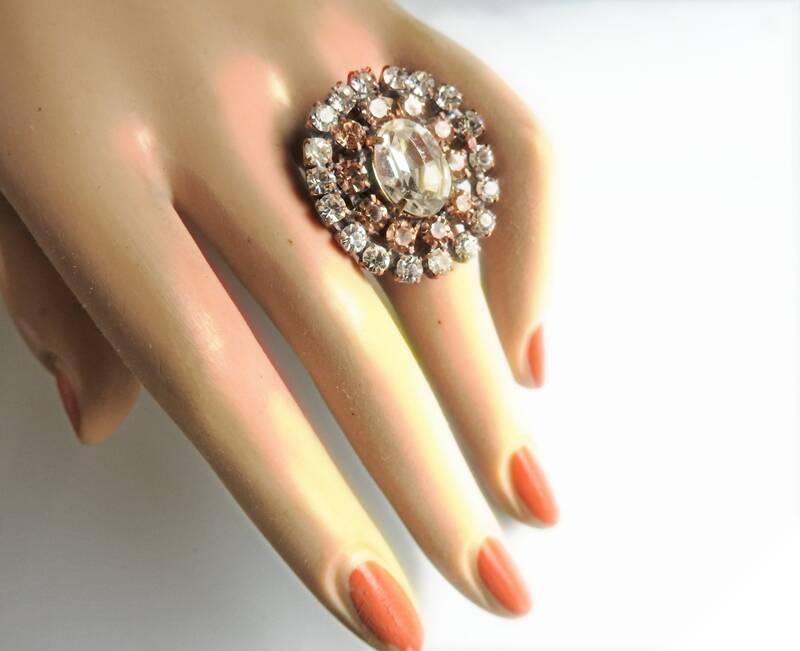 Vintage style rings for women , oval, white and champagne color. 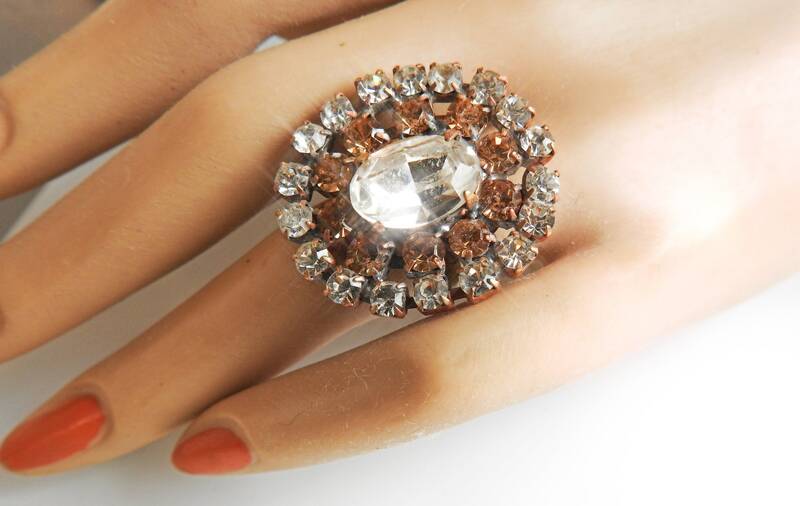 In love with vintage style rings for women? 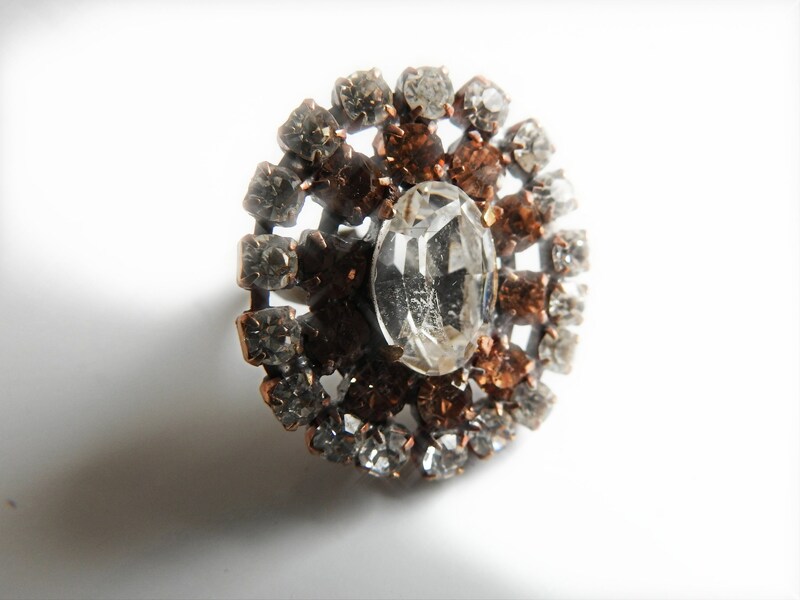 This elegant ring, oval, with white and champagne rhinestones, will complete your unique cocktail ring collection. 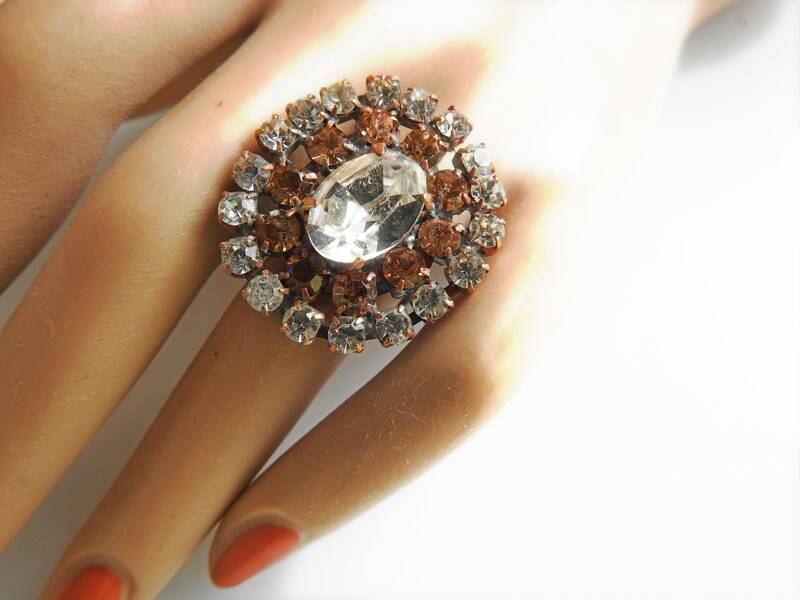 Brighten up your hands with this exquisite large statement ring jewelry! 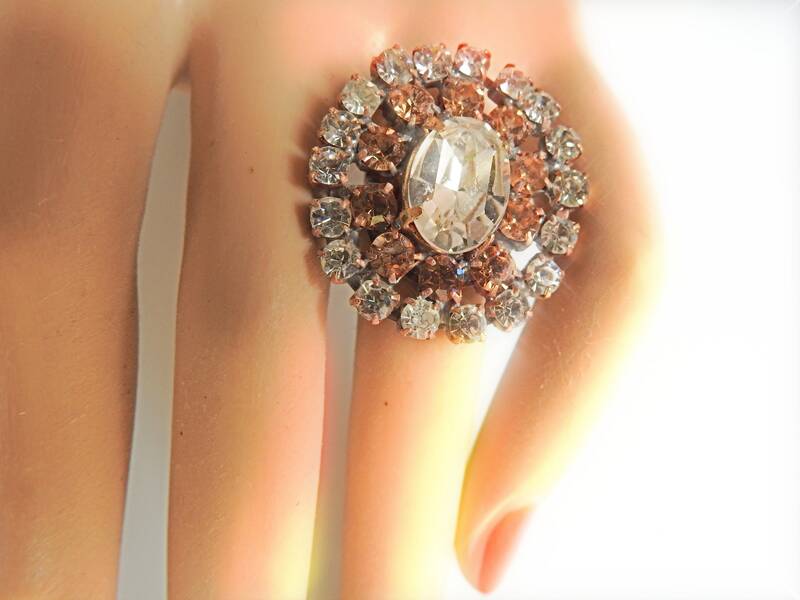 • Color: Snow white and champagne color statement ring. 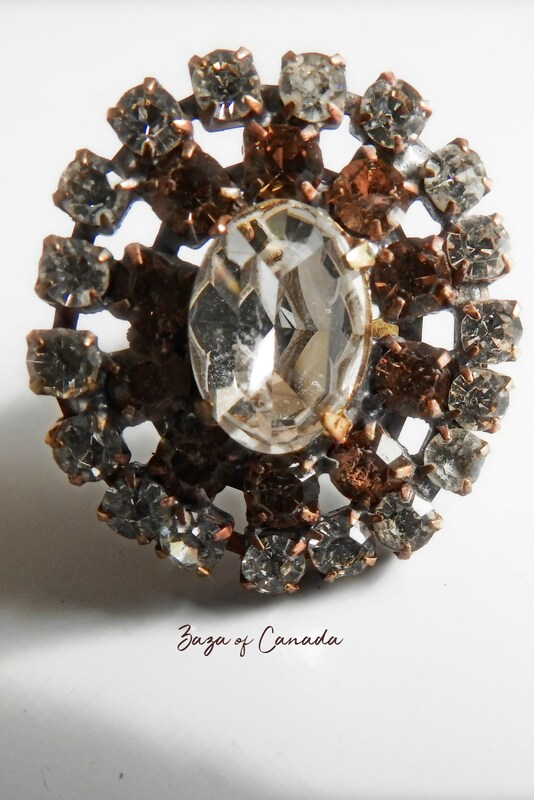 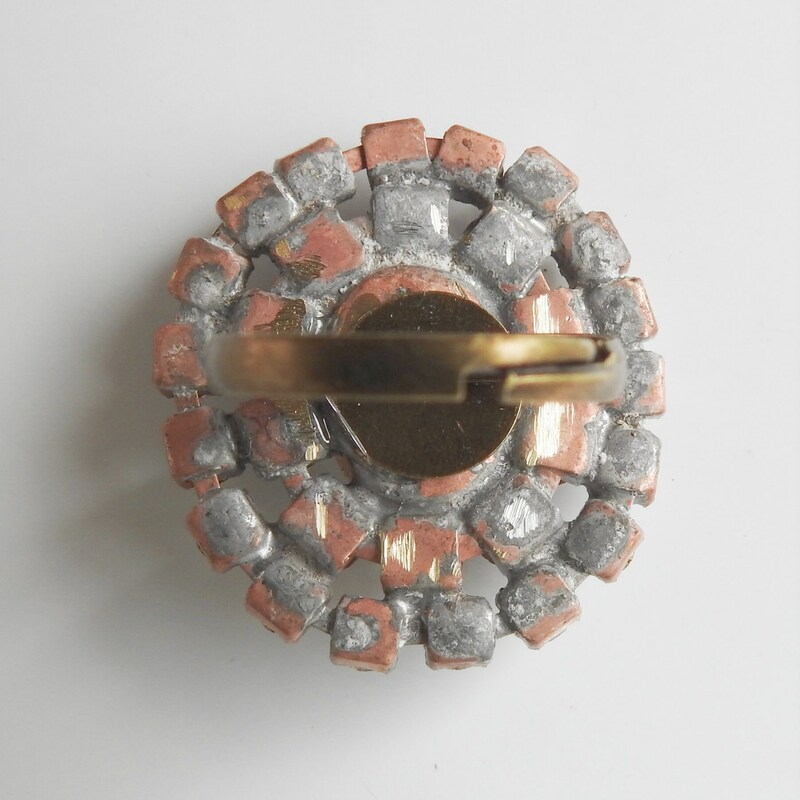 • Vintage style, handmade in Canada from an antique jeweled button from Europe. 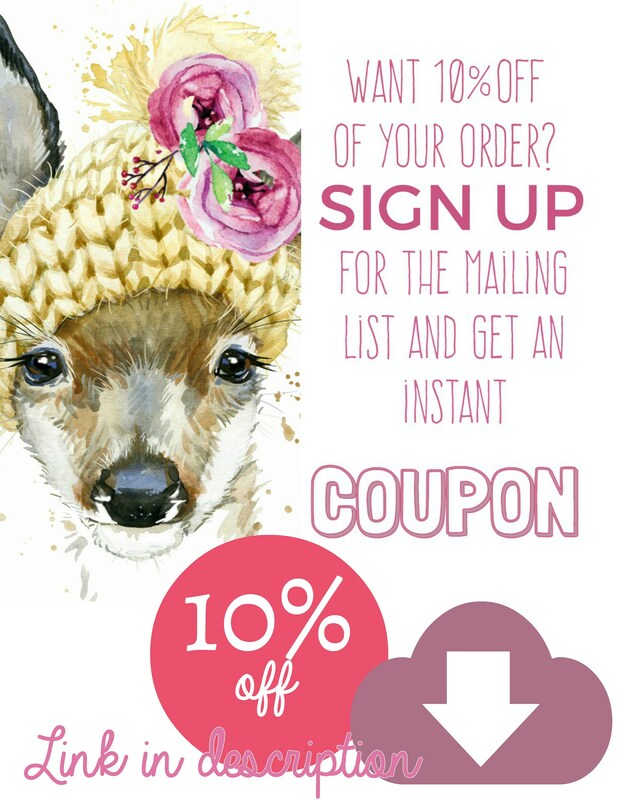 Thank you for passing by! 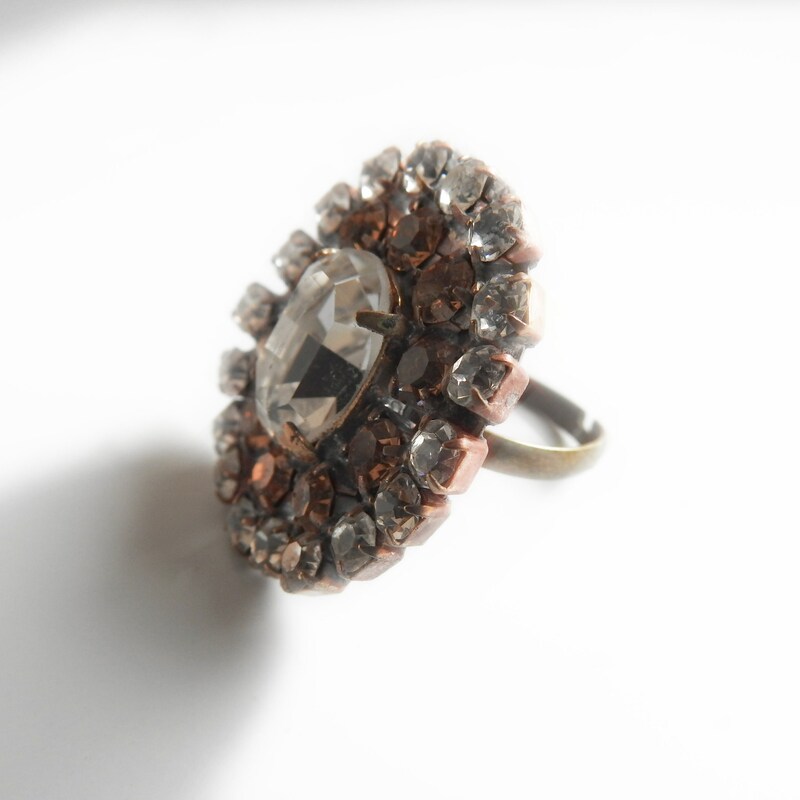 Please come back soon! 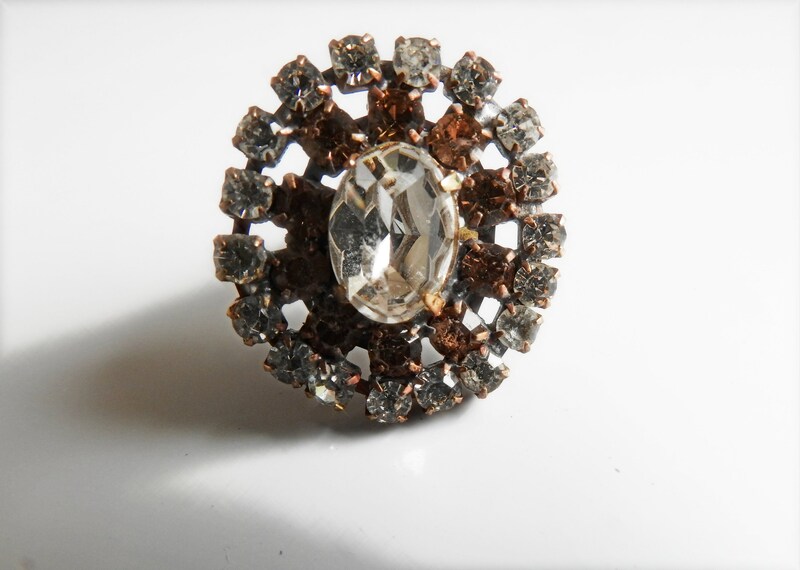 For a chic and classic look, you want to wear this vintage stye large statement ring!